Work with your mentor to review your abstract and title before submitting. An abstract is a summary of your research usually presented in skeletal form, which concentrates on the essentials of a larger idea or claim. This abstract should be comprehensible to an educated, but non-discipline specific audience; as possible, use layman’s terms to define or explain terms, concepts, or processes. Background / Introduction: Provide context to explain how your research fits within a bigger picture and what the larger impact of your research might be. Methods: Take time to not only name your methods, but explain the mechanisms, processes, or theoretical approaches that you employ in your study. Be sure to highlight your individual role within the research study. Conclusion / Implications: Again, tie your research findings back to the larger context. What are the big-picture implications or broader potential impacts of your research findings? PLEASE NOTE: While an abstract will summarize information from these research paper sections, there should be NO SECTION HEADINGS within your abstract. Your abstract should include sufficient information for reviewers to judge the nature and significance of your research, the adequacy of the methodology employed, and the nature of the results and/or progress to date. Abstracts will include your name, major, faculty mentor and department, university, project title, and abstract text, in that order (see example abstracts below). Project titles are no longer than 150 words in length and should be capitalized. Abstract texts will be a single paragraph, no longer than 300 words in length, with no section headings. Do not include references or in-text citations in your abstract. Italicize genus / species names following scientific conventions. Abstracts will be submitted as a Word document, 1-inch margins, 12-point Times New Roman font, single-spaces with line breaks between sections (see example abstracts below). 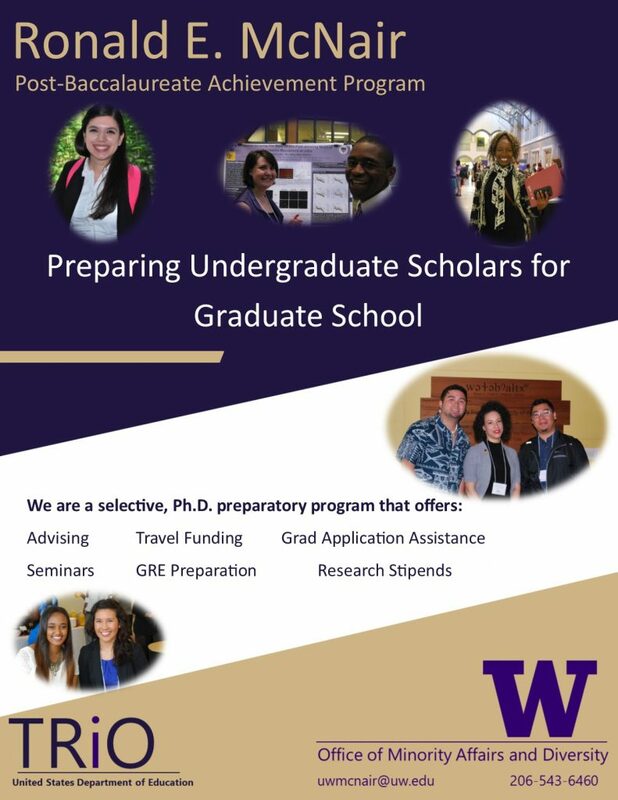 PLEASE NOTE: Your abstract will be published in both the McNair Research Conference and UW Undergraduate Research Symposium Proceedings. Therefore, a submitted abstract must be a high quality abstract approved by your faculty mentor. 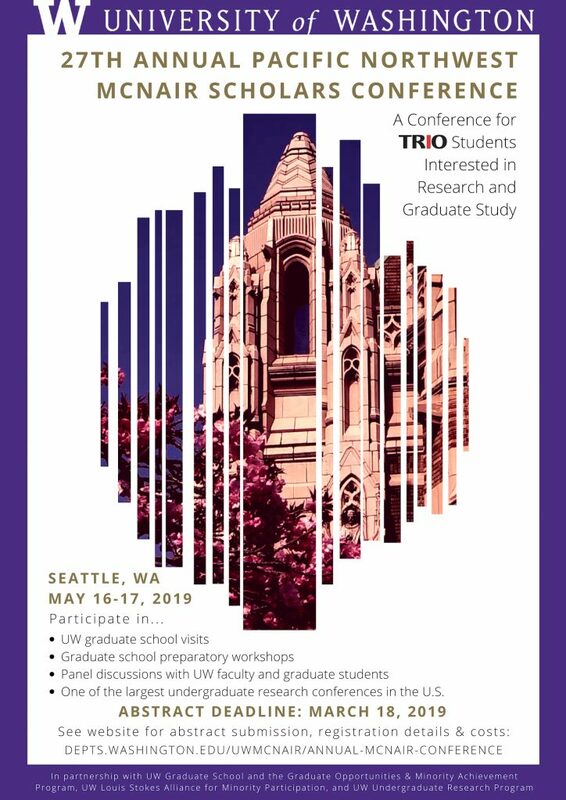 Submitted abstracts are subject to a review process and may go through multiple revision cycles between UW McNair Staff and the Student Presenter. Student Presenters must be able to respond via e-mail to abstract feedback and make appropriate edits in a timely manner. Abstracts are due March 18, 2019 and are submitted as part of the Individual Student Registration process. Below are some examples of past student abstracts. Abstract: This is a colonial reading of the 2014 World Cup in Brazil, in which I examine the politics and push-back surrounding the attempted demolition of the Aldea Marcanal: an Indigenous museum in Rio de Janeiro. With a context of historical racism and colonization, I examine FIFA’s participation, the continuing colonial efforts made possible by the Brazilian government and elite, that included the removal of Indigenous peoples from their land and the continuing marginalization and exploitation of Indigenous peoples in the region. I also examine the role of performance as a method of resistance undergone by public demonstrations and protests, as exemplified by Indigenous peoples’ rejection of the colonizing mission. How Indigenous people resist dominant narratives of neoliberalism and nationhood intertwined with the ways in which they enact visual sovereignty through perfomativity. Claiming to be a “racial democracy,” the Brazilian government has persistently pushed aside marginalized groups such as Indigenous peoples in an effort to achieve an image of progress and modernity. By putting census numbers in conversation with texts of race in Brazil, I highlight the complexity of race relations in the country. Drawing from media sources such as news, blogs and videos I attempt to deconstruct narratives and discourses surrounding the attempted demolition of the museum for the World Cup, paying particular attention to the representations of Indigenous peoples in Brazil. Through an examination of the political power of representation and performance, this paper contributes to our understanding of coloniality, modernity, and Indigenous agency. Abstract: Human males are generally larger than human females in body size, but in the pelvis, this sexual dimorphism is reversed and females are larger. This reversal is unique to humans in the primate order, prompting the question: What causes these differences in pelvic size between males and females? One prominent theory is the Obstetrical Dilemma (OD), which suggests that the female pelvis is a compromise between the requirements of giving birth to offspring with large brains and maintaining biomechanically efficient walking or running. However, research has shown that even with a larger pelvis, the energetic expenditure of women walking or running is equivalent to that of men. Previous research is limited, though, in that pelvis metrics were considered using dry bone, without the contribution from cartilage of the pubic symphysis and the auricular surfaces of the os coxae. To better understand the differences between the male and female pelvic structure, medical images (magnetic resonance, computed tomographic, and radiographic) of living people, in which the cartilage is intact, were used to perform various measurements, which were chosen from the primary literature. Osirix and Slicer were used to perform all measures. These programs are designed to analyze DICOM images such as MRI’s, CT’s, and x-rays and allow you to perform measurements on the images using landmarks or line tools. The anticipated results are that the previous research findings conducted on skeletal remains will be confirmed when measured on living individuals and that new measures may prove significant (e.g. transverse diameter of the inlet). In addition to this, it is expected that there will be a difference in the cross sectional width and length of the pubic symphysis between males and females. Abstract: Gene duplications are an important source of raw genetic material necessary for evolution and have been associated with the morphological diversification of flowers in angiosperms. In the model plant Arabidopsis thaliana, two B-class genes of the ABCE model of flower development are responsible for the development of petals and stamens. The floral quartet model proposes that in order to bind DNA, the protein products of these genes must form heterodimers with each other and tetramers with an E-class protein. Although the genetic basis of flower development is well characterized in Arabidopsis there are many angiosperms whose flowers differ morphologically. Analysis of the early diverging eudicot Thalictrum thalictroides, a member of the Ranunculaceae (butter-cup family), provides insight into the function of floral identity genes outside of the “core eudicots”. Unlike Arabidopsis, T. thalictroides lacks petals, but its sepals exhibit ectopic petaloidy, in that they are large and showy. In addition the B-class genes of T. thalictroides have undergone additional rounds of gene duplication resulting in four B-class genes, which are all expressed in sepals, a deviation from the classical ABCE model. We hypothesize that one or more of the B-class genes has functionally diverged and may have acquired a role related to petaloidy of sepals. If this is the case, this morphological feature may be the direct result of the T. thalictroides B-class proteins interacting in novel ways. In order to elucidate the protein-protein interaction of the B-class genes we used a Yeast-Two Hybrid assay to characterize the ability of each B-class protein to form homo- and heterodimers among themselves and with the E-class proteins. Ongoing complementary targeted gene silencing experiments will provide functional insight of the B-class genes and whether they are involved in ectopic petaloidy, as well as contribute to our understanding of morphological diversity produced by gene duplications.